I lost a big piece of my childhood Sunday. 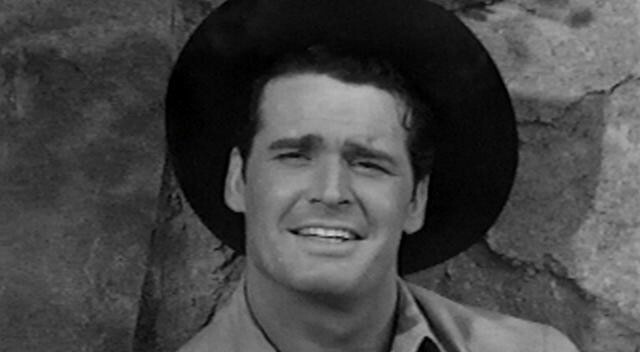 James Garner, star of “Maverick,” “The Rockford Files,” and more than 50 movies, died. He was 86. Garner, you see, was born in Norman, Okla., just down the road from where I lived in Oklahoma City. He was practically a neighbor, a hometown boy. And I was SO into cowboys and horses and the Old West when I was a kid. When “Maverick” hit the airwaves, I was smitten. He was so handsome, so adorable, so Oklahoma. The crush continued when Jim Rockford, an urban Bret Maverick, appeared, and the rollicking Rockford theme became for me the Jim Garner theme. One of his earliest films was The Great Escape (1963), one of my all-time favorite movies. Garner and Steve McQueen in the same movie. Heaven! I can still whistle the theme song. I feel like I’ve lost a member of my family. I was so very sad to hear the news my friend. Another great one gone. I was so young when Maverick was on TV, but I absolutely remember how much I loved watching it with my mom. I suppose that connection held true for me, because I loved everything Garner did afterwards. In fact, despite it being hilarious, I kinda resented Mel Gibson playing Maverick all those years later. That is until the end, when they revealed that the character Garner played in that movie was Maverick’s dad! I realized in looking over his filmography that I saw very few of his movies. I’ve never been much of a moviegoer, renter, or watcher. I’d have had a tough time accepting Gibson as Maverick. Nice to know it didn’t really come to that. What a wonderful list of actors. I love every one of them. And I was thinking just what you said about Garner. All he had to do was get in front of the camera and be Jim Garner. I just happened to be especially fond of him. He seemed so normal, so approachable. Like you, I don’t think of many actresses that way. Sally Field, maybe? Maybe it’s just a sexist thing, that men seem to have more presence on screen, more gravitas, and are more memorable as a result. He was always a favourite of mine; his voice seemed to have a touch of melancholy in it like a little boy who’d been caught doing something naughty. Didn’t matter what part he portrayed he always seemed to me to be such a nice genuine person and evidently he was. Hepburn and Bacall. Can’t think of any actress today who could carry their scripts, much less command the screen the way they did. Well, she has had some roles that smacked of that. But she’s certainly one of the better ones out there. Glad to see your post on James Garner. Although I did no post he was constantly on my mind for a couple of days. He was a family tradition at our house when I was young. When “Maverick” came on, my step-dad demanded all other household activities cease. Mother on the other hand was a “Rockford Files” groupie. At our age celebrities tend to pass on from time to time but some of them, the really special ones with whom we made a special bond, take a piece of us with them. It’s a depressing part of old age, this passing of so many we knew. You said it beautifully — that the special ones take a piece of us with them. Garner was one of those. I was surprised by how much his death upset me. I agree with PT, Alan. You said it well. Glad you mentioned Support Your Local Sheriff. I have an unusual sense of humor and that movie was one of the few that made me laugh out loud. The mention reminded me too of actress Joan Hackett, a wonderfully talented woman who died tragically at 49 of ovarian cancer. She was perfectly cast in that movie. Yeah, I wasn’t ready for this one. Believe I saw every one of his television series appearances. And it had nothing to do with spending nearly two years at Fort Sill, Oklahoma! Strangely, I don’t recall seeing any Garner films. There’s time to correct at least part of that omission, starting with a few titles endorsed in the comments here. I missed almost all of his movies too. I like action adventure and my impression is that most of his movies were lighter fare.